Raven-Symoné: "I Never Said I Wasn't Black"
Move Over, Demi Lovato! Raven-Symoné Dyes Her Hair Purple & Gray Before College Begins: "New Hair for a New Life"
Melanie Porter (Raven-Symone)is a talented high school graduate who has selected a University 800 miles from home. 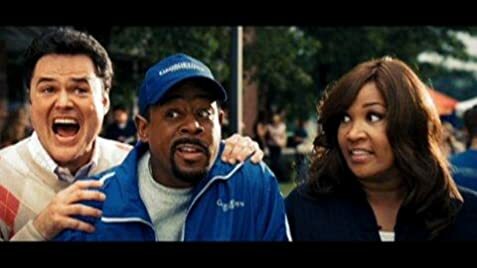 Her over protective father, James (Martin Lawrence) doesn't want her to be so far away, so he cooks up a plot to try to convince her to go to a local University. On the guise of going to her selected university, he forces a visit to his preferred (close to home) school. 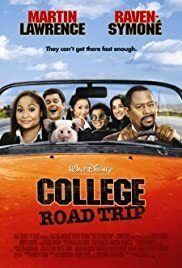 This is a typical road trip movie with lost cars, bumming rides on buses and planes, covering that difficult time of life when a father loses control of his daughter. Written by D.B. Chief James Porter: Little Houdini pig. Q: Did Raven go to college? I agree that this movie was predictable and simple...but you guys obviously did not take your kids with you. My daughter loves Raven from her Cheetah Girls movies. She is a spectacular role model for girls and her movies are about having fun and doing responsible things as a young woman unlike most of the movies out there with girls as their stars. Most of them focus on chasing boys. She is the positive role model parents pray for. My girlfriends and I love Martin Lawrence. The faces he pulls never get old. He's got charisma and as soon as he's on screen everyone is smiling. 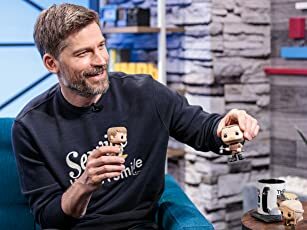 He's the kind of guy that lightens the mood and I know many many people who love seeing him on screen. How can you not like a guy that brings giggles with a gesture or funny face? If you have daughters take them to see this movie. It's a great kids movie.